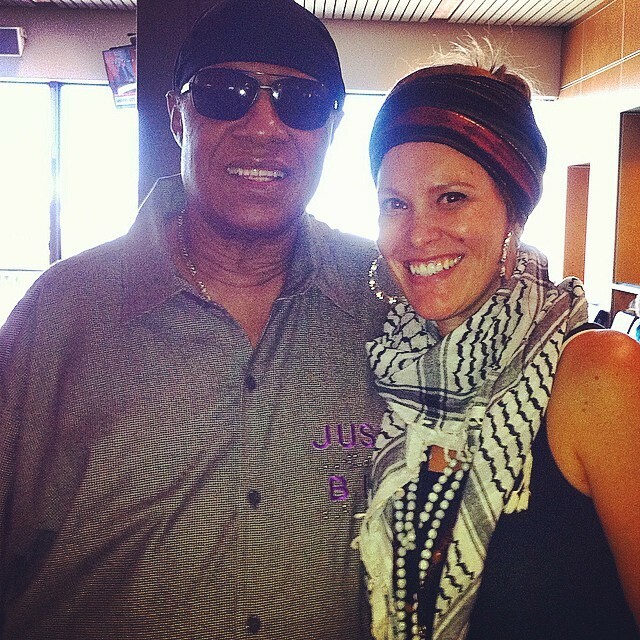 June 9, 2015 June 9, 2015 sarahchristinemusicLeave a Comment on Stevie Wonder is a fan!!! Stevie Wonder is a fan!!! Greetings friends and lovers of life! A few days ago I had the most wonderful, surprising and life affirming experience along this musical journey thus far. As many of you know I have been doing a regular gig at the Sea-Tac Airport for about year now. Its one of those ever-changing, interesting and totally unpredictable types of gigs where I get to connect with a variety of new people and get my music out into the world in a very cool way. It’s like going on tour without going anywhere. So I’m having a great time performing. It’s a busy day, people are buying CD’s and tipping me well. The music is being well received which fuels my passion and motivation. I’m making eye contact with people, smiling and being in tune with my surroundings which are constantly shifting. I enjoy people watching and what better place than an airport! I’d been singing for about 20 minutes or so and I happened to observe a small group of gentlemen at a distance walking together that had a certain energy about them. I continued doing my thing and didn’t really think much of it. A few tunes later as I’m finishing the final chorus of “By the Sea! !” I feel the presence of someone to my right. I smiled and acknowledged him while holding my last note. As soon as the sound finished ringing out he says to me, “I have a special guest that wants to meet you.” I look in front of me and see someone walking towards me with 2 escorts about 10 feet away. I look back at the gentleman and say “Is that who I think it is!!? ?” He smiles, nods and says, “Oh yes it is, he heard you from over there!” I am instantly flooded with excitement, disbelief, shock and pure joy!!! Oh my goodness, THIS IS REALLY HAPPENING!!! I clumsily fumble with my guitar as I take it off and am beginning to feel myself tremble…I remind myself to breathe and walk towards the legendary Stevie Wonder!!! He greeted me with a sincere smile and a warm embrace. His energy was so pure…He absolutely radiated love and light. I think I said something to the effect of “Thank you for your amazing work, you are my hero, it’s an honor to meet you, etc…but honestly much of the initial meeting is kind of a blur. I felt completely out of my body at that moment. He asked if I was the songwriter of the songs he had heard and I replied that I was. He complimented my voice and style then proceeded to ask who I was signed with. I told him that I wasn’t signed with anyone and then he asked for my card!!! Of course I gave him one along with both of my albums. We chatted briefly for a couple more minutes, got some photos and exchanged goodbyes just as he was being bombarded by a crowd of fans. At that point the only thing that made sense to do was to keep on singing. So that’s what I did..I picked up my guitar, stepped back up to the mic and carried on while he was just a few feet away taking photos with people. Eventually Stevie and the crowd drifted and I lost sight of him so I assumed he must have boarded a flight. But about 30 minutes later I saw him hand a flight attendant his ticket and get on a flight that was right there at the very gate I had been singing at. He had still been there, I just couldn’t see him through the standing crowd. There are many details of this experience that I can describe with words, but I could never truly convey the depth of emotion that will remain within me like a sacred, precious gem that I will forever hold dear within my heart and soul. Tears of joy are still spontaneously flowing at random. Regardless of what may or may not happen in the future, Stevie honored me with such a special gift that day. He is someone I’ve admired and looked up to since the very first time I saw him on TV at age 7. I knew at that moment I was witnessing someone who was connected to their power and purpose. He planted a seed within me then and my heart is overflowing with gratitude and awe as I savor the sweetness of miracles coming full circle!